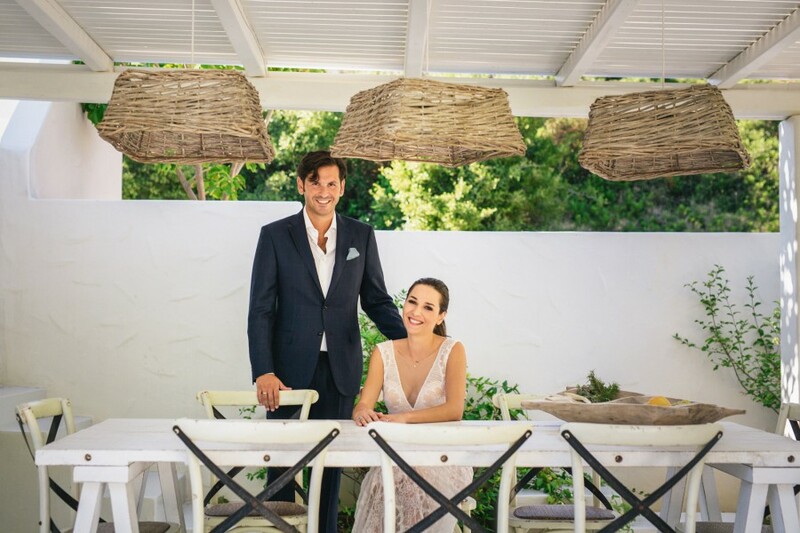 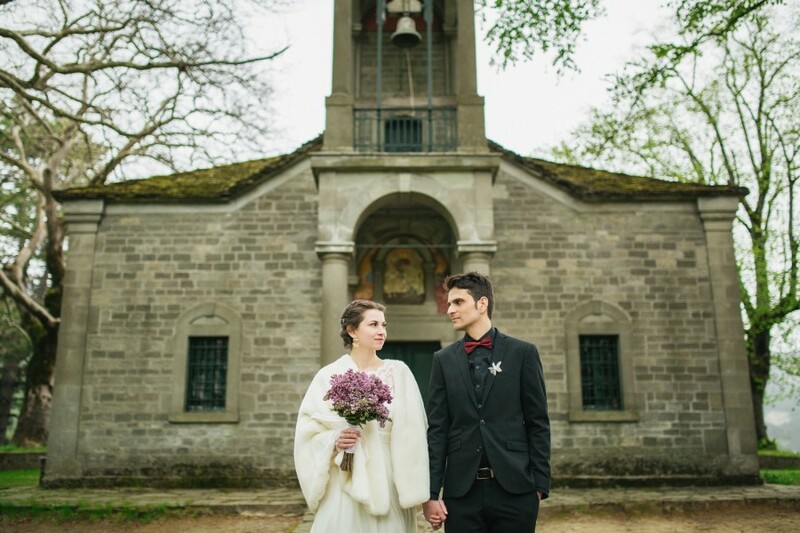 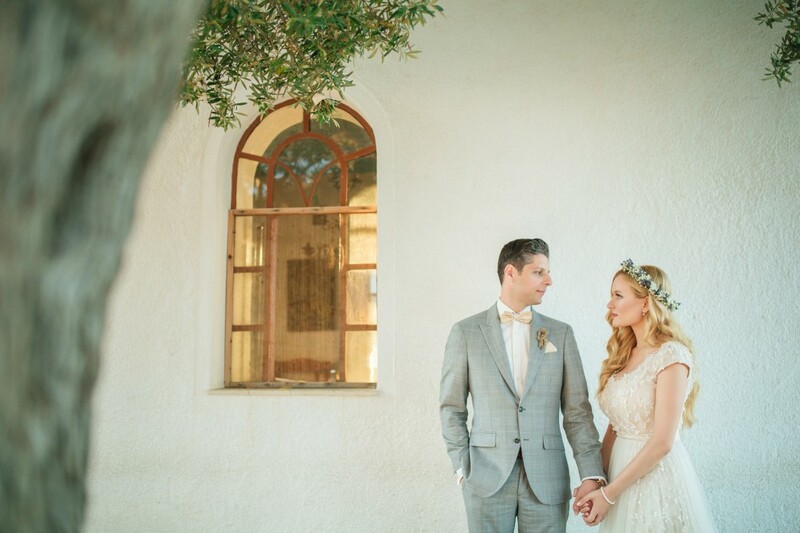 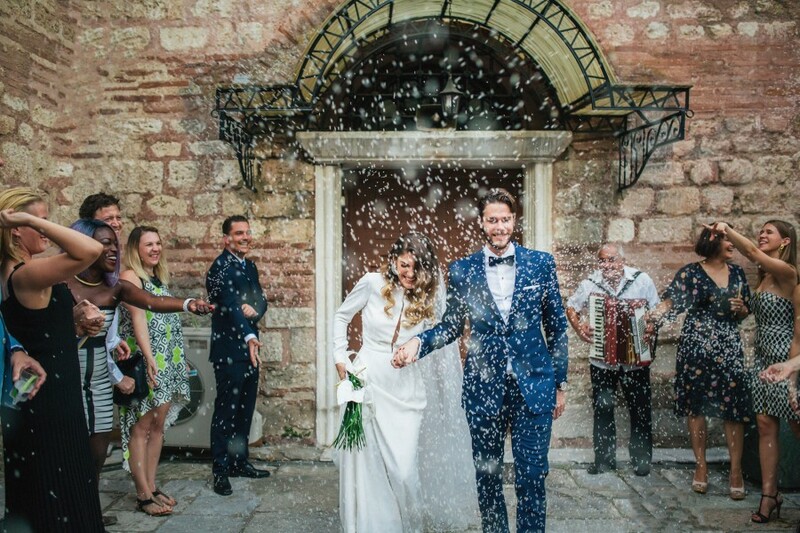 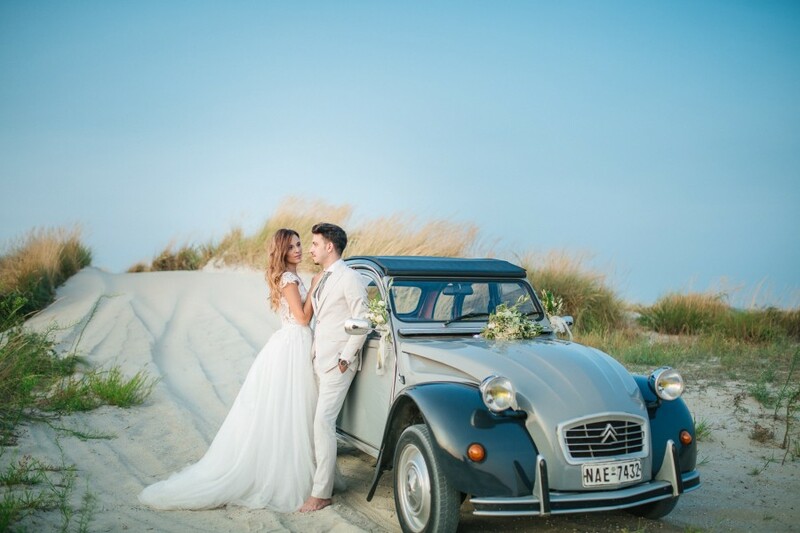 Stratos and Marina were married in the summer of 2017. 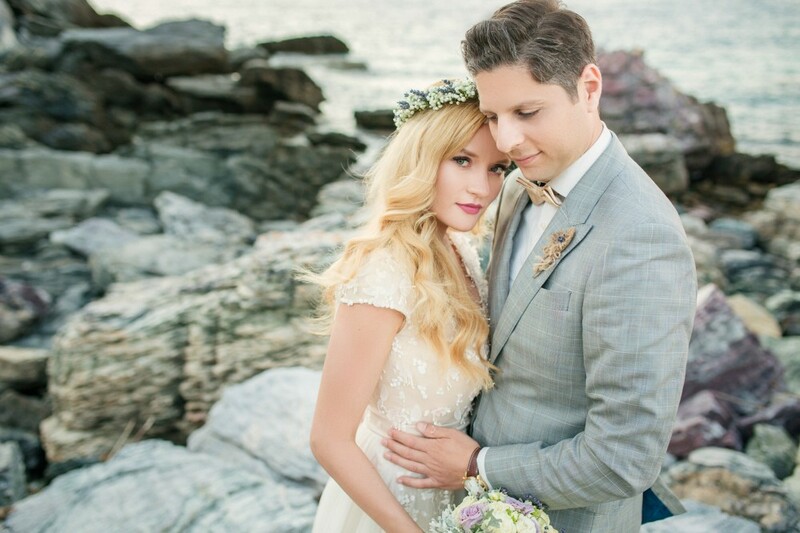 I had the pleasure of photographing their wedding as well as doing their next day photography. 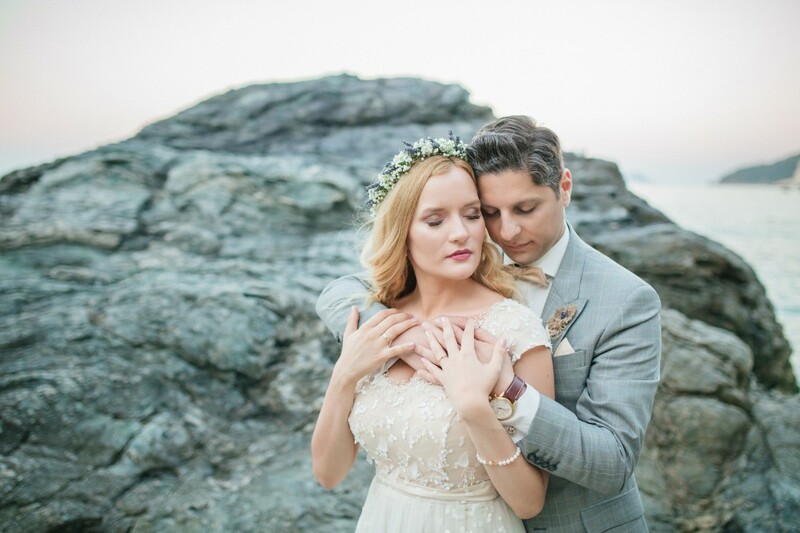 I have the best memories as the newlyweds and I got to know each other even better and shared beautiful moments that led to mutual positive and honest feelings. 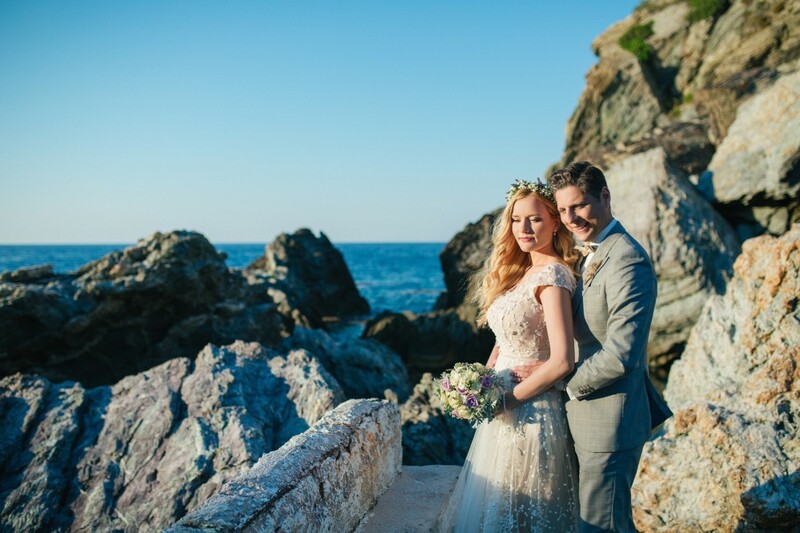 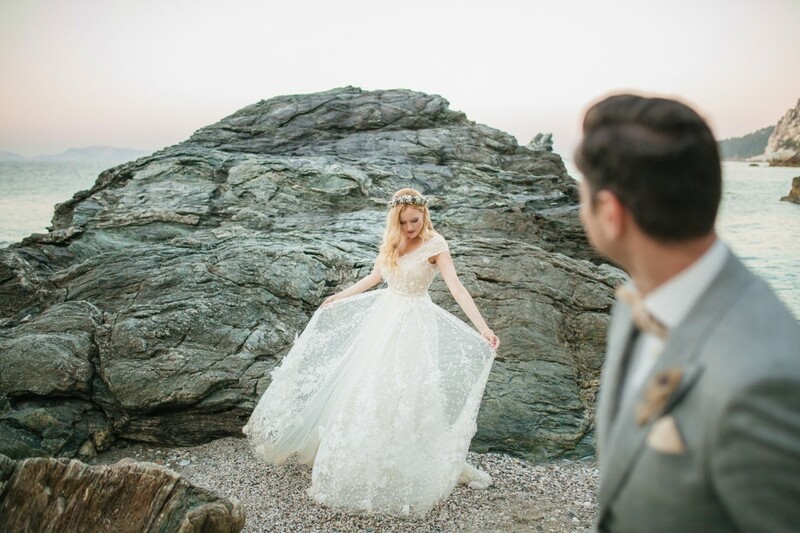 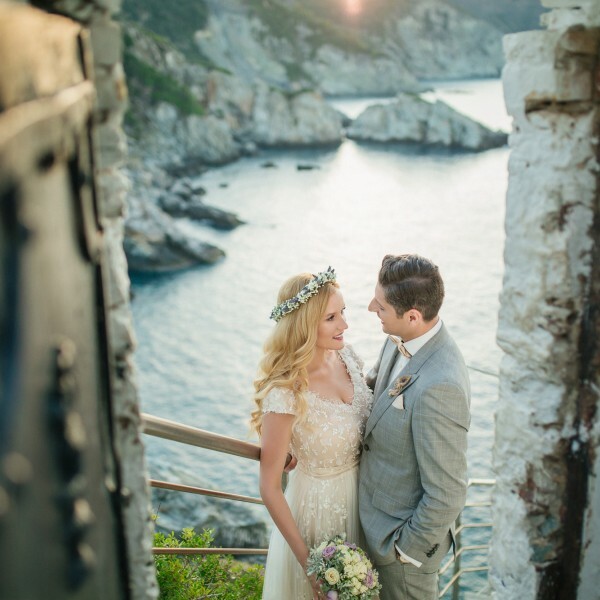 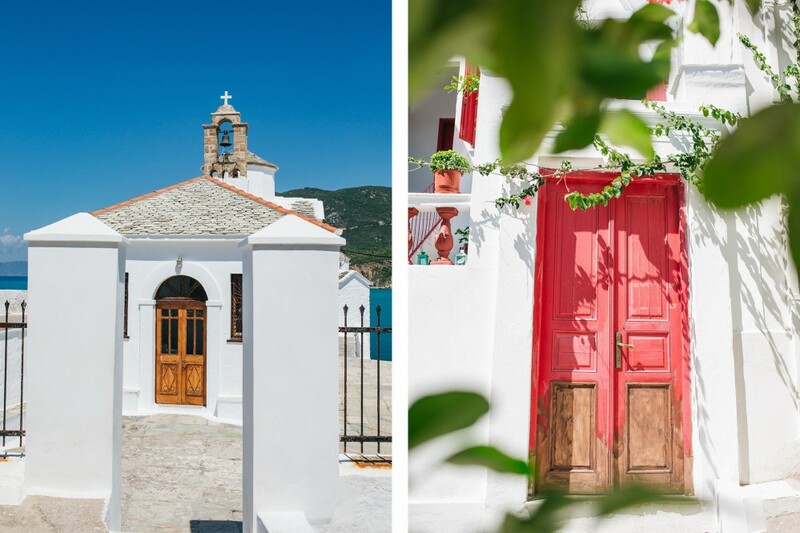 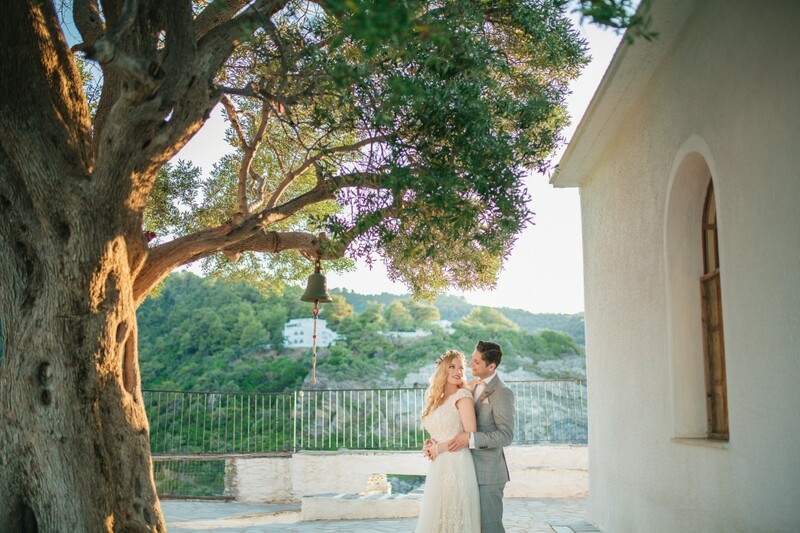 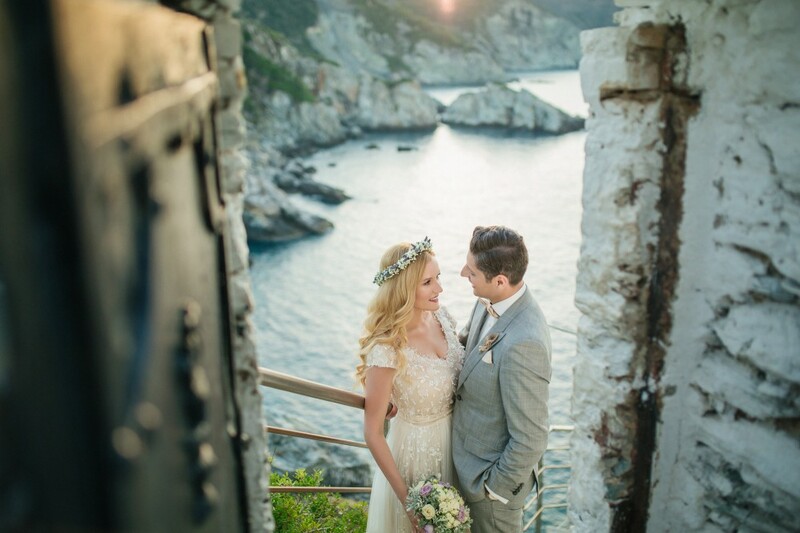 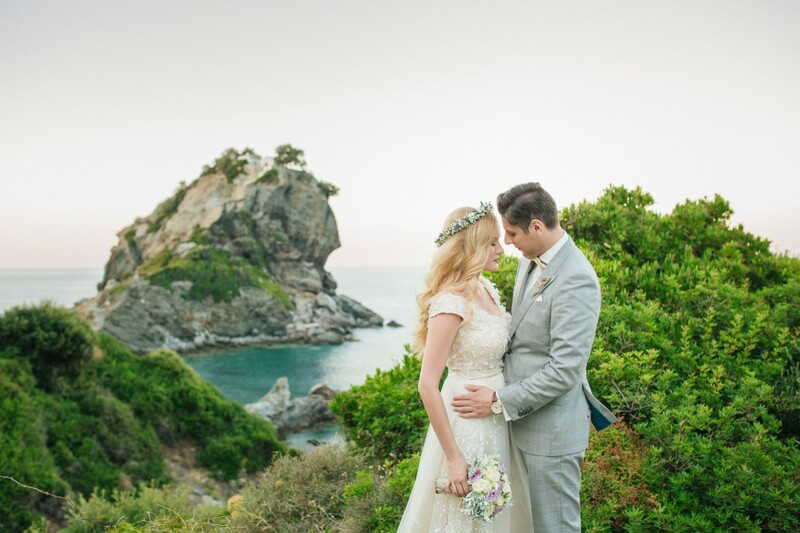 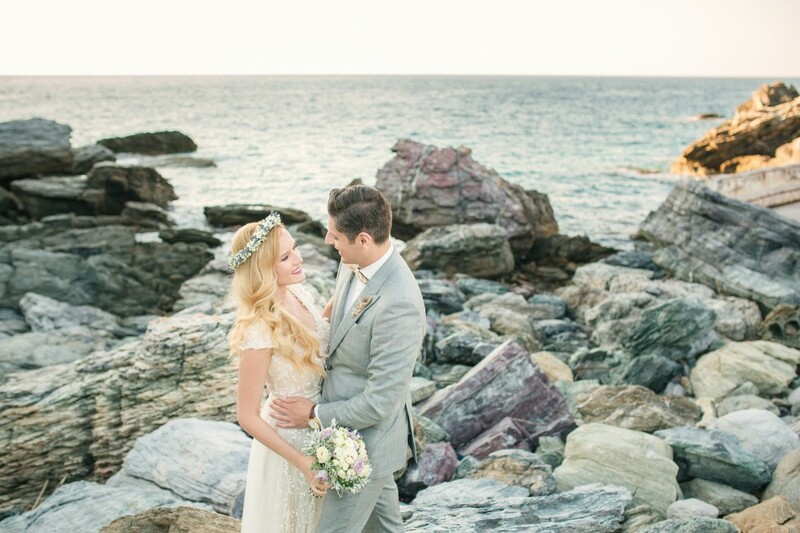 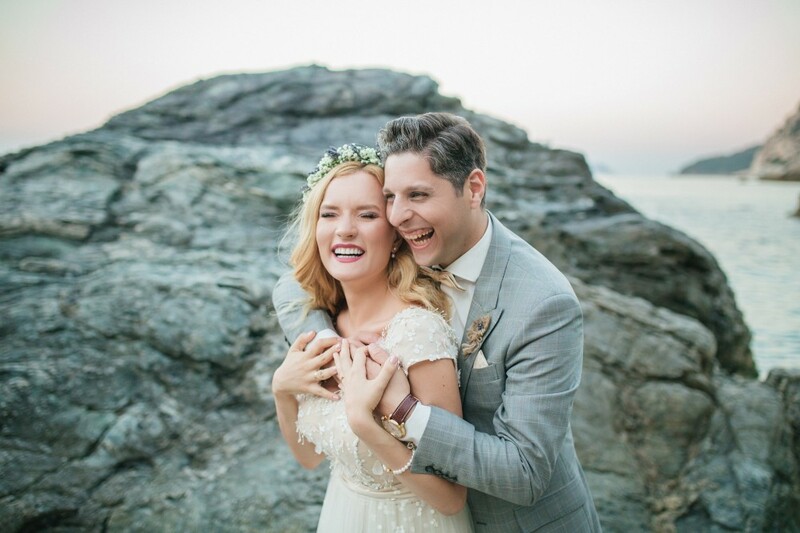 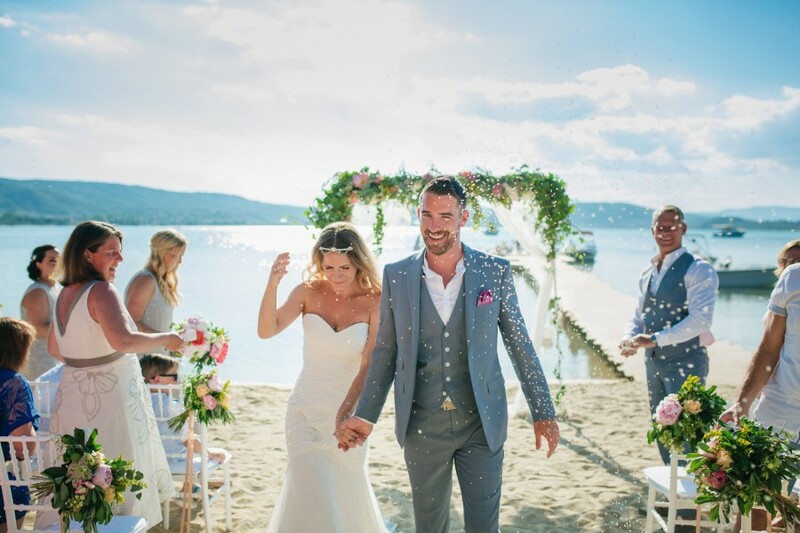 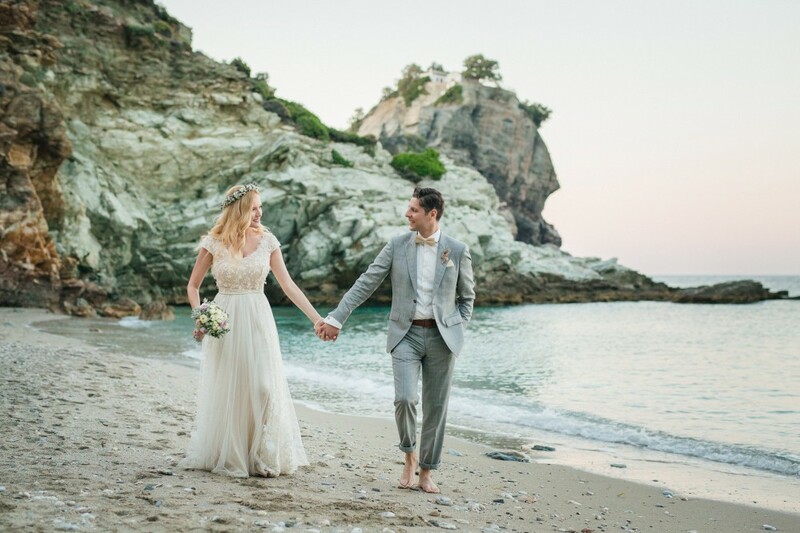 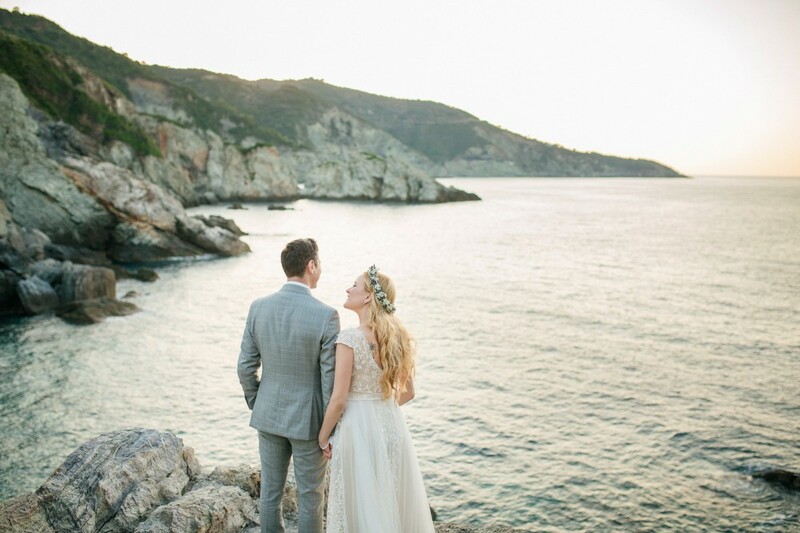 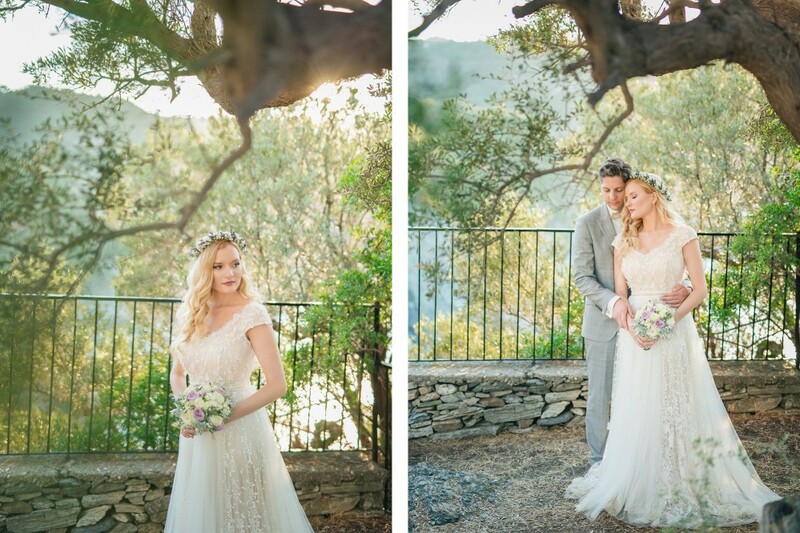 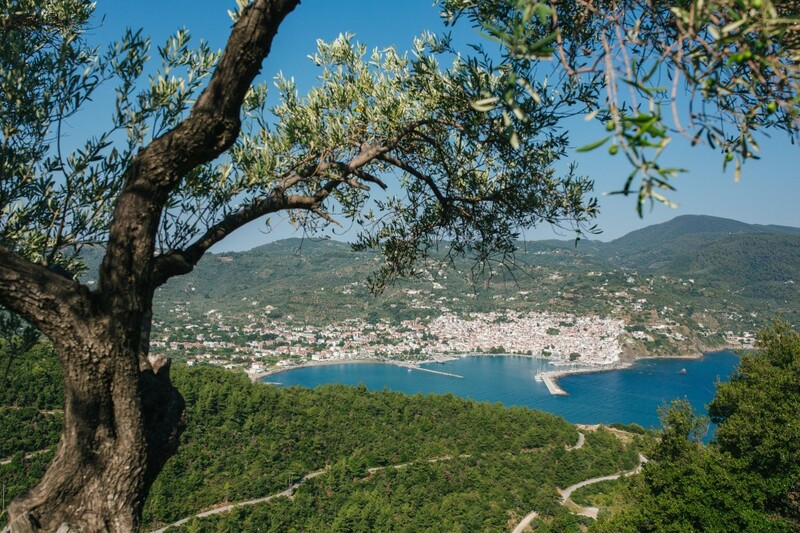 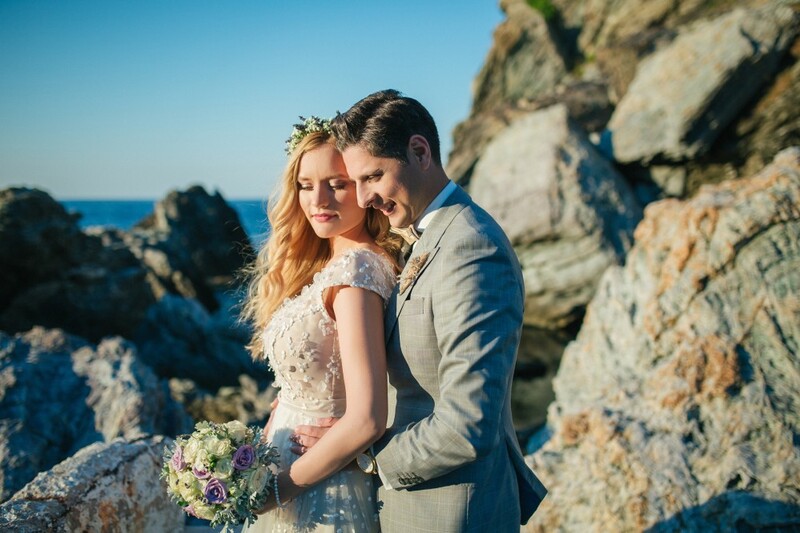 The couple chose Skopelos for their next day wedding photography after being encouraged by their best man and maid of honour. 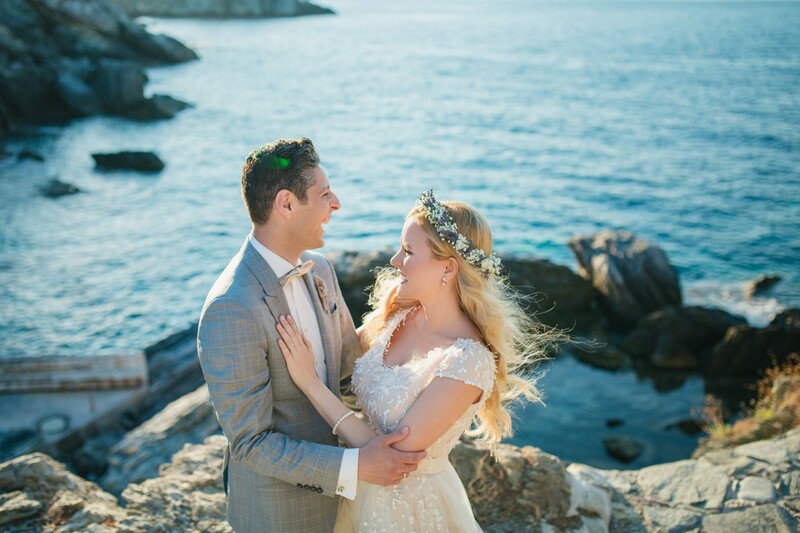 Marina and Stratos spent one week on the island relaxing and enjoying their life as newlyweds. 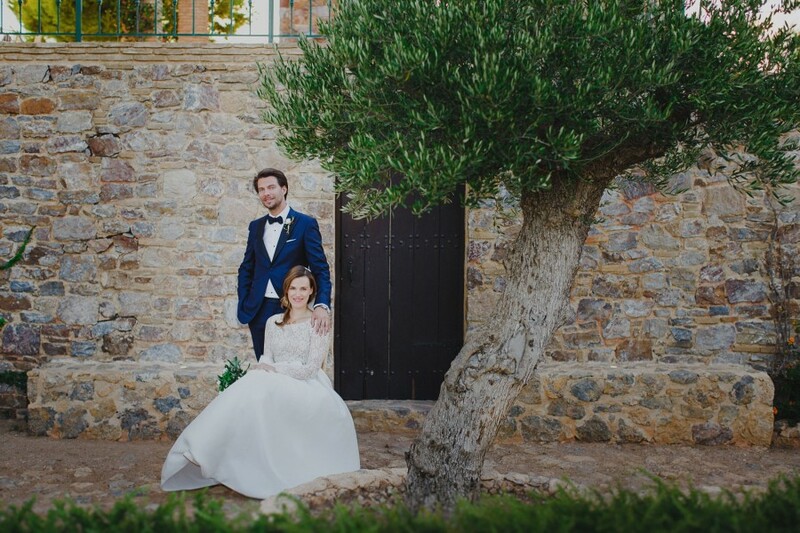 For one day during their stay there, I joined them for a special next day photography, and the wonderful couple won my liking and appreciation. 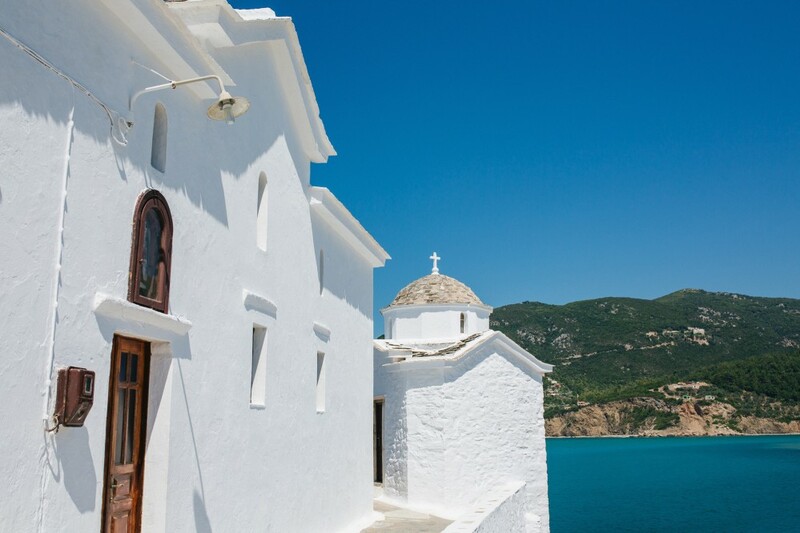 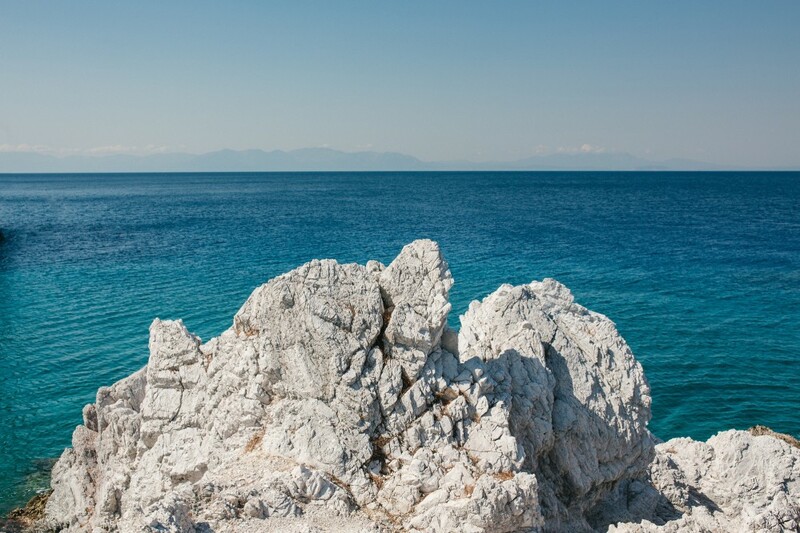 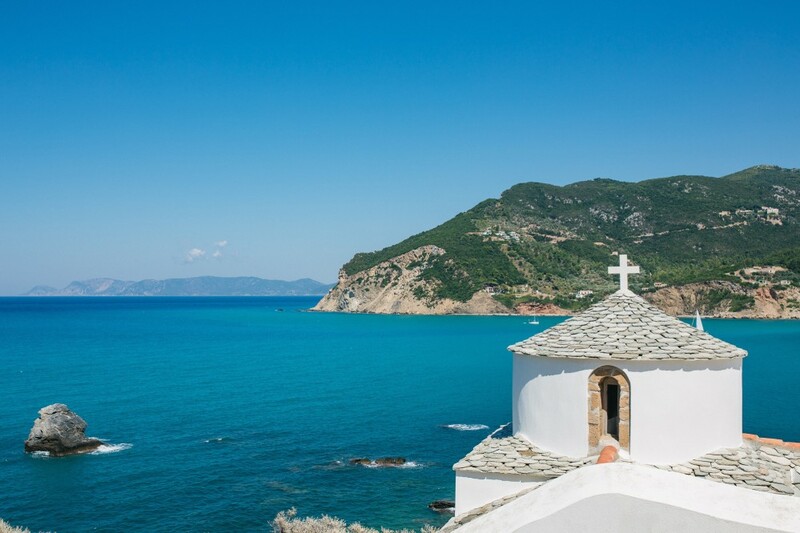 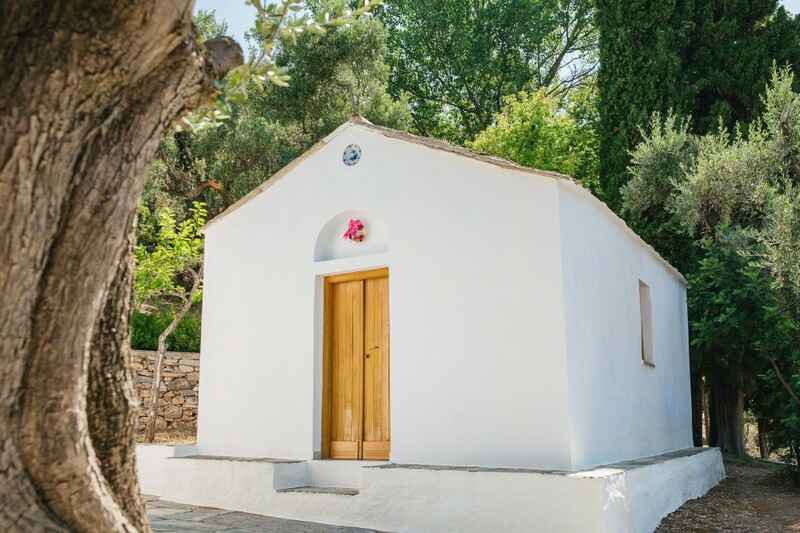 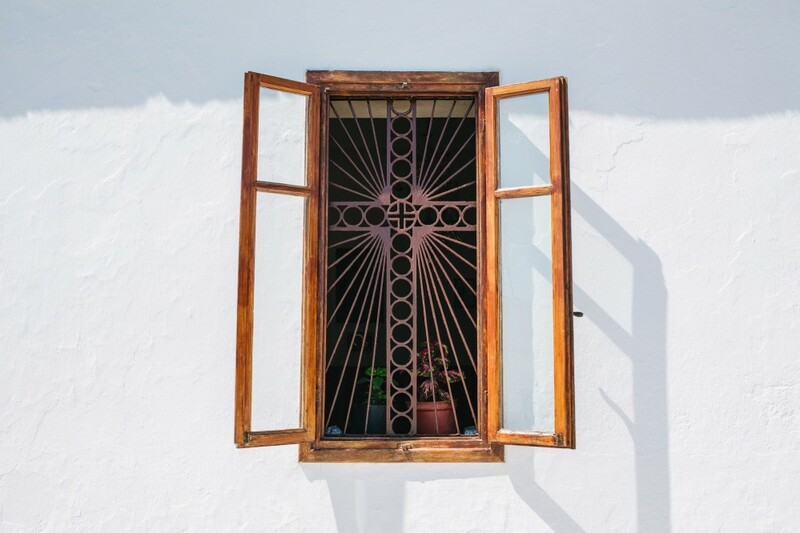 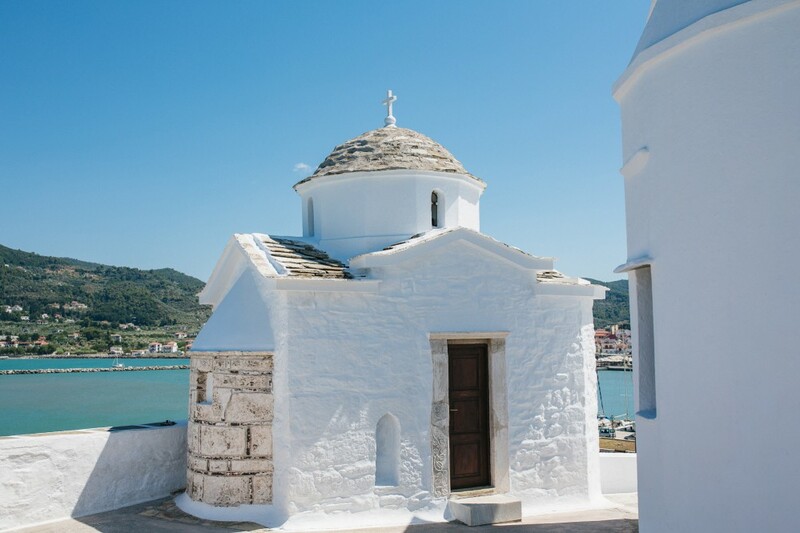 The island of Skopelos, which is very popular as the film Mamma Mia was filmed there, has so much to give to those who visit it. 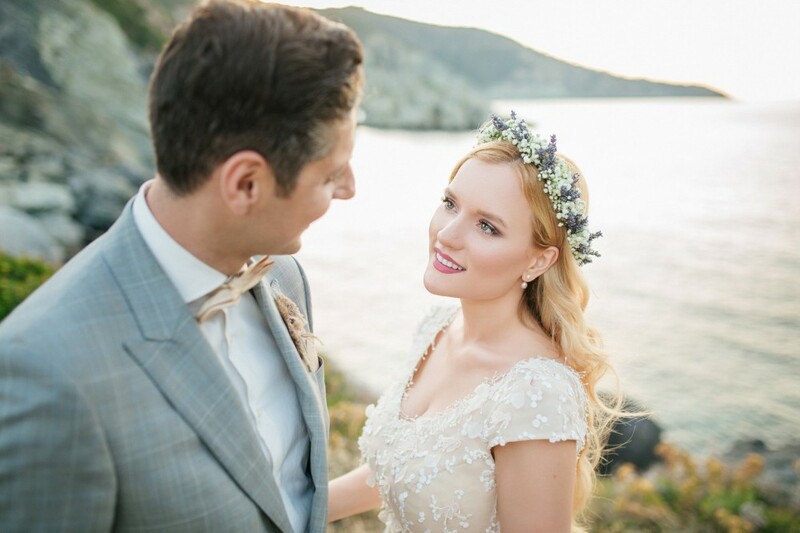 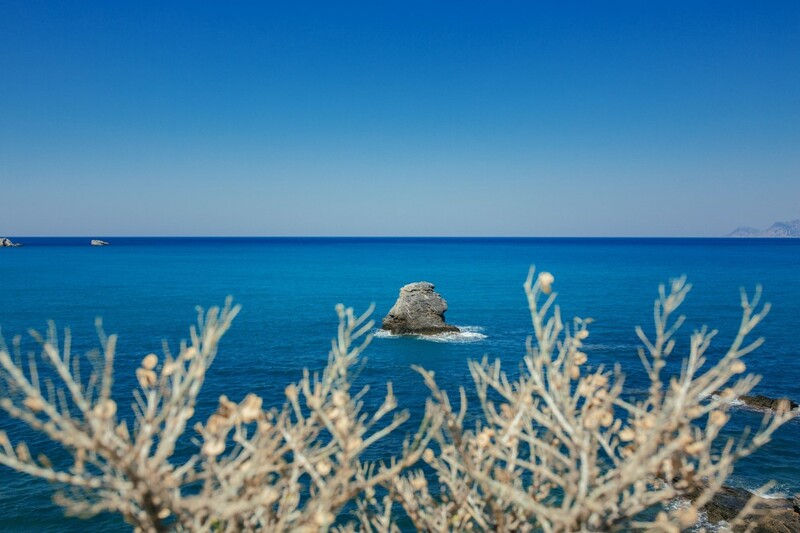 Our photography shots include beautiful scenery and enchanting beaches that make up the most impressive backdrop for a pair radiant and in love like Marina and Stratos. 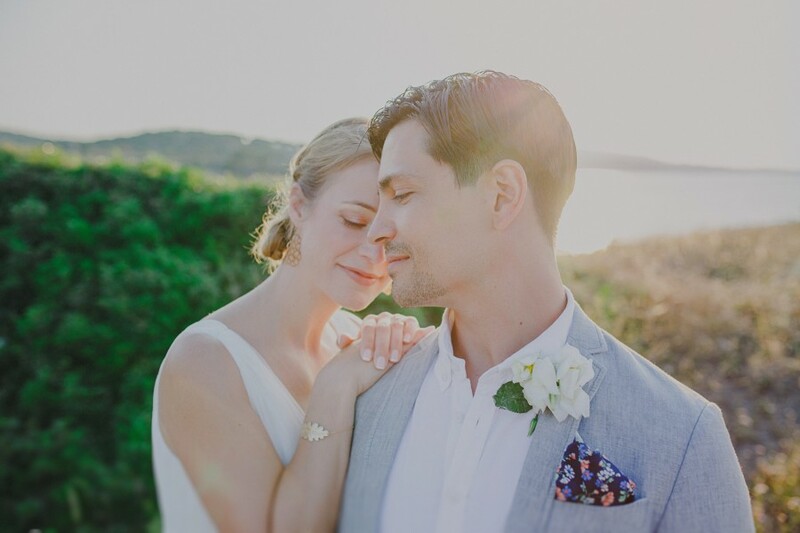 The summer mood on the island and the carelessness that it offers positively influenced the couple, who carefreely enjoyed their wedding photography revealing to me their most beautiful side.